Pacemakers, insulin pumps, defibrillators and other implantable medical devices often have wireless capabilities that allow emergency workers to monitor patients. But these devices have a potential downside: They can be hacked. Researchers at Rice University have come up with a secure way to dramatically cut the risk that an implanted medical device (IMD) could be altered remotely without authorization. Their technology would use the patient’s own heartbeat as a kind of password that could only be accessed through touch. Rice electrical and computer engineer Farinaz Koushanfar and graduate student Masoud Rostami will presentHeart-to-Heart, an authentication system for IMDs, at the Association for Computing Machinery’s Conference on Computer and Communications Security in Berlin in November. They developed the technology with Ari Juels, former chief scientist at RSA Laboratories, a security company in Cambridge, Mass. IMDs generally lack the kind of password security found on a home Wi-Fi router because emergency medical technicians often need quick access to the information the devices store to save a life, Rostami said. But that leaves the IMDs open to attack. The system would require software in the IMD to talk to the “touch” device, called the programmer. 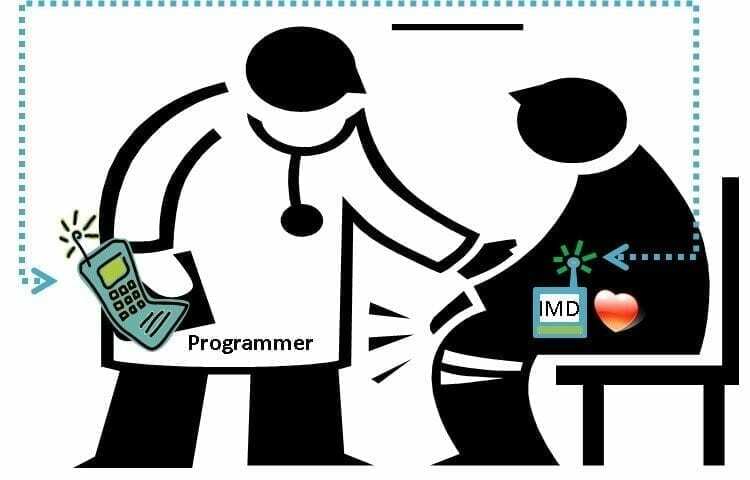 When a medical technician touches the patient, the programmer would pick up an electrocardiogram (EKG) signature from the beating heart. The internal and external devices would compare minute details of the EKG and execute a “handshake.” If signals gathered by both at the same instant match, they become the password that grants the external device access. A human heartbeat is the same, he said. It seems steady, but on closer view every beat has unique characteristics that can be read and matched. “We treat your heart as if it were a random number generator,” he said. November 29, 2018 - This museum wants your fingerprint and heart rate for the sake of art. Will people actually do it? The Washington PostAt the Hirshhorn's 'Pulse' exhibition, hand sensors and finger scanners collect the varying rhythms of visitors' pulses. October 6, 2017 - Biometric Identifies You in a Heartbeat Scientific AmericanLike fingerprints and facial recognition, the shape and beat of your heart can be used to verify your identity. Christopher Intagliata reports. Full Transcript. January 30, 2017 - Using Your Heartbeat as a Password | Innovation Smithsonian.comResearchers have developed a way of turning the unique rhythms of your heart into a form of identification. January 30, 2019 - Motiv ring will be able to make payments and verify identity with a heartbeat DezeenUS tech company Motiv has revealed its smart ring will soon use its wearer's unique heartbeat to verify their identity and make payments. January 7, 2019 - B-Secur HeartKey tech unlocks your car with unique rhythm of your heartbeat CNETB-Secur imagines a future where its EKG-based HeartKey technology enhances security for cars and devices while monitoring driver health.